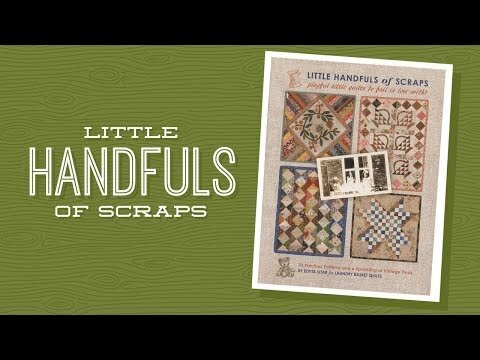 "Little Handfuls of Scraps" Playful little quilts to fall in love with! From playful to precious this collection of mini quilt patterns is designed to inspire quilters of all ages. An accomplished quilt and fabric designer, Edyta Sitar explores a myriad of tiny creations, pondering and playing with her favorite scraps until a quilt is born. It’s your turn to take inspiration from these tiny treasures and discover the magic of miniatures. Book features 32 mini scrappy quilt patterns, appliqué and other quilting tips, and a sprinkling of vintage finds.